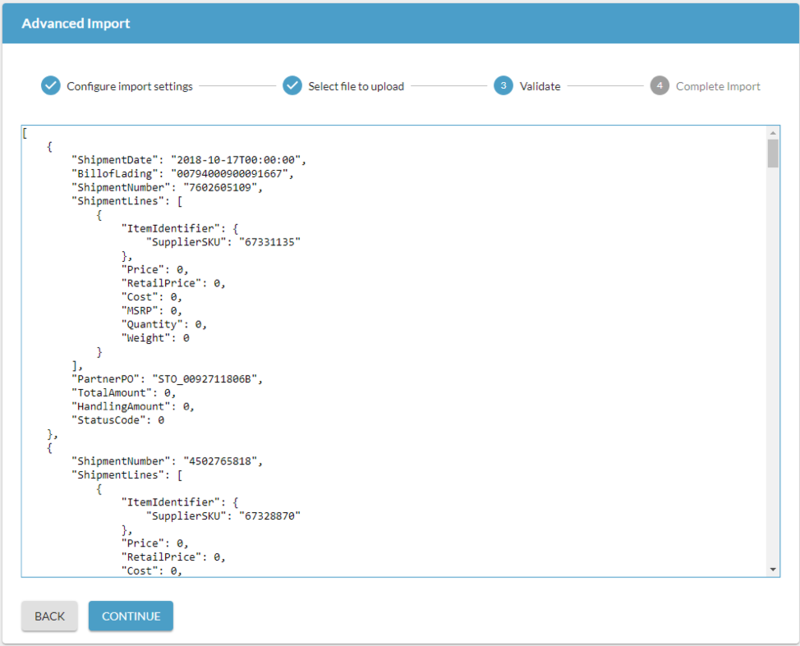 Advanced Import is used for importing CSV and XLSX files, both in the Logicbroker standard format, and a custom format if your company is configured as such. The general process is to upload your file and then validate to make sure all your fields are parsed properly into our standard format and ready to upload. 2. 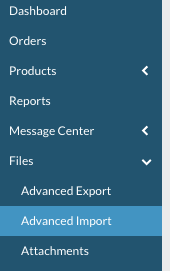 Choose which documents to import by clicking the radio button next to the related document. NOTE: Toggle Custom Format if you are loading a custom format (vs. using the Logicbroker standard format). 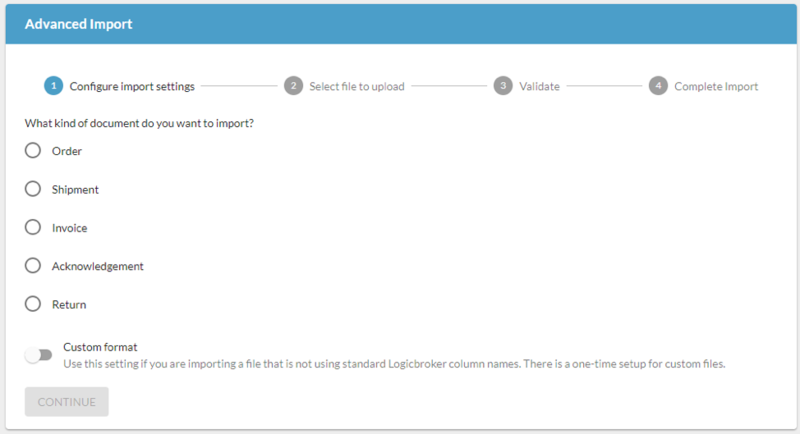 There is a one-time set up of a custom format with Logicbroker that would need to happen prior to loading a custom format file. 3. Select a file to upload by dragging and dropping a CSV or XLSX file or click inside the dotted box to choose a file from a file management program. After the file is selected, choose Continue. NOTE: CSV or XLSX files should always have a header row at the top. 4. Your file will load and a preview of the file will load in the window. You will be able to review how the information is parsing into the system. Choose Continue to complete uploading the file. 5. If there is an error, you will be given that error prior to upload. If the file loaded, but you don't see that the shipment data (for example) has loaded, you may also review Events to see details (Message Center --> Events).